Running Injuries: Prolotherapy and PRP. "From initially thinking I probably had to get surgery, to doing PRP and being back on skis"
"PRP completely changed the way I engage with the physical sports that I do"
Drs. Luga Podesta and Lew Yocum, demonstrated that 30 of 34 athletes (88%) had returned to the same level of play without any complaints. What conditions are successfully treated with PRP? If prolotherapy will benefit an area, PRP will provide greater benefit, with fewer treatment visits. Athletes, high activity persons and those with advanced degenerative joints might consider PRP as an optimal treatment option. For very bad tears or injuries, especially if someone has had some prolotherapy elsewhere, it should be considered as a first-line therapy. Because of the greater cost of PRP due to the cost of preparation and expense of the technology, some patients prefer to begin with regular prolotherapy as it provides excellent results most of the time. For those who do get PRP as their regenerative injection solution, we typically see them for follow-up in 3 to 6 weeks. Generally, if not already improved, people will either be recovered or know 6 weeks after the second PRP that it is working. Overall the results have been extremely positive, patient satisfaction is very high and It is very safe. There have been no reactions related to injecting platelets harvested from one's own blood. regular dextrose prolotherapy has resulted in some benefit, you are confident the treatment has been done properly into the appropriate areas, but the results are not optimal. You always choose the best therapy options for your health needs. At 6 months post-treatment, the PRP-treated patients' visual analog pain scores had improved 81 percent over their baseline scores. At a 2-year evaluation, 93 percent of these patients reported "complete satisfaction" with the treatment and 7 percent were "partially satisfied." Nearly all of the PRP-treated patients had returned to the activities of daily living and over 90 percent had returned to work or sporting activities. Wang-Saegusa et al investigated 312 patients with knee osteoarthritis. The patients were given 3 injections of plasma-rich plasma at 2-week intervals. At 6 months, the patients reported a significant improvement in pain, stiffness, function, and the Lequesne Index. In another study of 115 knees with osteoarthritis, the subjects received 3 platelet-rich plasma injections every 21 days. A significant improvement was measured in all clinical scores at 6 and 12 months. My hip injury in 2005 seemed to be the end of the road....The success of Dr. Brown’s treatment culminated in my 2011 performance at the World Masters Athletics Championship, where I finished 9th out of 27 in the 1500, running my best time since 2005! For 3 years I have been walking with a limp and back pain... (with) the amazing Prolotherapy and PRP I have recovered significantly... 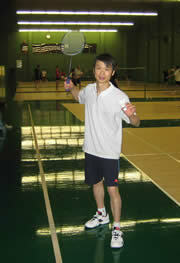 I am able to jog, work out and play competition badminton which I thought I would never play again since my injury. "I'm pretty wowed how my body has healed with the PRP over time"
Post PRP report: "It is the first time in almost 7 years she has had the mobility in her arm to stretch it over her head, she can turn her head & even her thumb mobility is better"..."Carolanne had even been up dancing with the 2 little boys. Amazing!!!" "The results are actually beyond my expectations, and I am able to run again and I had thought I would never be able to run again"
It was amazing, I feel like my old self, it was so rapid... I can't believe more people are not aware of the PRP treatment. PRP for knee osteoarthritis: "Best of all, I cancelled the knee replacement surgery....I can walk better, do normal household work again, feel more mobility and am overall happy with a better quality of life." "My hands and wrists are so much stronger and more comfortable now. I can pick up frying pans when full and no pain, using power tools etc are easy again. My feet are fine, I can walk and hike without pain. PRP was very successful"
Two orthopedic surgeons maintained I had a degenerative, osteoarthritic knee, with very little meniscus left.... insisting I give up soccer and get an artificial knee... two treatments of PRP-therapy and 2 treatments of Prolo therapy...I am able to walk, jog and/or ride my bike after playing soccer a day later with out my previous characteristic limp...or need for Advil.... I am very pleased with the results. What is PRP - Platelet Rich Plasma ? The blood is then put into the Harvest SmartPReP®2 Platelet Concentrate System and spun down separating the red blood cells, plasma and concentrating the platelets. All injuries result in tissue damage. The body’s natural response to injury is an organized process of regeneration and remodeling of damaged cells, ultimately returning the injured tissues to their normal state. Collectively this process is known as the healing cascade. 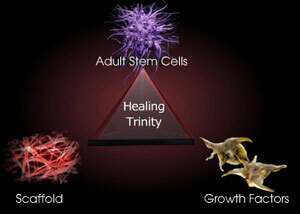 This healing cascade is primarily controlled by bioactive tissue growth factors found in platelets. With PRP prolotherapy, these growth factors are concentrated and injected directly into the site of injury. The body's natural response to this injury is a series of regeneration and remodeling steps collectively referred to as the "Healing Cascade"
Bioactive proteins replace, repair, and regenerate tissue. These proteins are natural components found in the body and are considered by many to be a “new frontier” of clinical treatment. Increasing the bioactivity at the wound site takes medicine one step closer toward its ultimate goal of naturally accelerating the body's normal healing process. Platelets are tiny cells that are critical to healing. 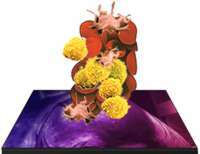 They are the body’s primary source of bioactive tissue growth factors, including CTGF (Connective Tissue Growth Factor) PGDF (Platelet Derived Growth Factor), TGF-β (Transforming Growth Factor-beta), EGF (Epidermal Growth Factor), IGF (Insulin Growth Factor), bFGF (basic Fibroblast Growth Factor), and VEGF (Vascular Endothelial Growth Factor. By concentrating these growth factors and injecting them at the site of injury or degeneration,, the body's own stem cells are drawn to the injured area and differentiate to cause regeneration of new healthy and robust ligaments, tendons and cartilage..
How Does PRP Regenerative Injection Therapy Compare With Cortisone Shots? Occasionally a single cortisone shot may give someone significant relief. Usually however, cortisone shots provide temporary relief and stop inflammation, but may not provide long term healing requiring ongoing injections. The problem is that cortisone is catabolic to tissues, meaning that its use will promote degeneration and wasting over time and with continued use.. PRP therapy is healing, regenerative and strengthening these tendons and ligaments and in some cases thickening the tissue up to 40%. Hyaluronic Acid injections ( Synvisc™, Hyalgan™, and Orthovisc™ and more) are very effective at increasing comfort and range of motion in injured joints. It does not, however, provide a mechanism of regeneration and it is necessary to continue injections about every 3 months to maintain benefit. PRP is regenerative, which means it stimulates the body to actually grow new ligaments, tendons and joint tissues which will last and function like normal healthy tissues. While responses to treatment vary, most people will require 2 to 6 sets of injections of PRP. Each set of treatments is spaced 4 to 6 weeks apart. Usually positive development is evident after 2 treatments. Often satisfactory results may occur even sooner, but cannot be predicted with certainty. Conclusions: " marked efficacy for chronic groin pain in this group of elite rugby and soccer athletes."